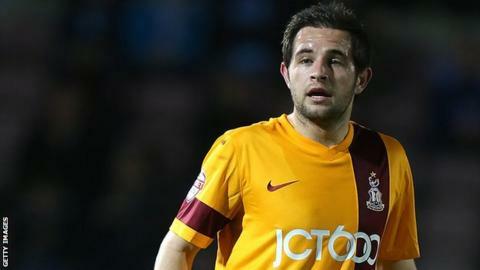 Hartlepool United have signed Bradford City midfielder Matthew Dolan on loan until the end of December. Dolan spent the first half of last season on loan at Victoria Park, scoring two goals in 24 appearances. He signed for Bradford from Middlesbrough in the summer, but has featured just five times in League One this term, all as a substitute. The 21-year-old is expected to go straight into the Pools squad for this weekend's game against Wycombe.